Universal PCV (Positive crankshaft ventilation) valve. Stock style that pushes into valve cover and accepts push on 3/8” hose. 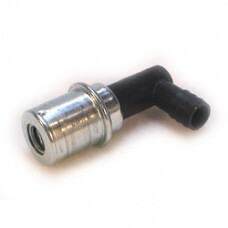 Connect hose to vacuum source at base of carburettor or intake.